Welcome to the Corporate Communications blog page. Being a blog newbie I hope you will bear with me as I try to explain what it is we do here and why you should use a professional firm such as ours. My goal is impart some of the knowledge of telecom that I have acquired over the last 28 years in the business and maybe make it easier for you the reader to understand because while it seems simple enough it can be very confusing. Your telephone is your life line to the people you want to do business with regardless of it being a land line or a cell phone. While phone systems can be costly to purchase they last for years and it more likely the services you pay for on a monthly basis that are costing you more than you need to pay but without the proper equipment it can be hard to take advantage of the savings that are out there. 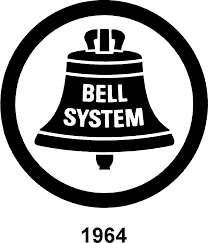 I am not going to bore you with a history lesson on Bell and his invention, how he did it or if he stole it. It has been over 140 years and as much as it has changed, somethings remain the same, when they touch they talk. Whether it’s the wires, the signaling or the people, the telephone has allowed us to connect in so many ways that we would just not be the same without it. I will give you a little history on us though. 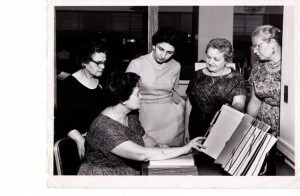 My family has made a living in communications for four generations. My grandfather work for Ma Bell painting numbers on cord boards, those are the old desk like units that you see operators sitting at connecting calls. My mother was in charge of communications for a suburban hospital and oversaw a project that replaced those cord boards with a state of the art AT&T Dimension PBX. My brother and founder of the company started his career with Illinois Bell as a straight line install and eventually became a PBX installer. I and four of my five siblings have worked here at one time or another along with some of their children. Bill Thon is our fourth generation that works for the company right now as our field supervisor so I guess you can say it’s in our blood. We are very proud of our company and what we have built, so when we say it’s not business it’s personal we mean it. It’s our family not just our name on the line. 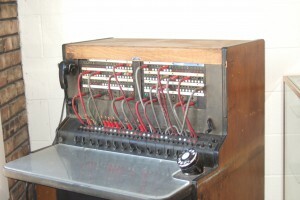 In my next article I will talk about the first thing invented after the telephone and that is the acronym. This business loves its acronyms and for a business that is all about talking it just makes sense that it came up with a way to say so much in as few words as possible. I will try to explain things like PBX, POTS, SIP and PRI. Thanks for reading and if we can help just ask, questions and free telephone system quotes don’t cost anything but a little time.